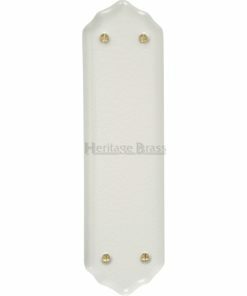 To compliment our great selection of period doors we also supply a huge range of door furniture and hardware. This includes door handles, knobs, knockers, hinges and much more. All supplied in a variety sturdy high quality finishes and popular styles. If you think that Victorian or Edwardian means stuffy buttoned-up, prudish and gloomy, think again! The Victorian to Edwardian period is considered the most positively diverse and evolutionary in recent history. Today we still find that the traditional knob on a period door looks better than the modern alternatives. Ironwork during this period were brass, timber, and later on chrome. 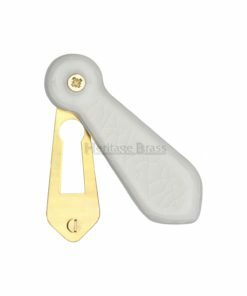 Often you would have an ebonised timber knob onto a back rose of chrome or brass, while on the other side metal privacy rim locks. Each item would have been expensive to produce, however today we are able to reproduce at a much lesser expense. While it might be more expensive than modern options you should consider the difference in quality, style and longevity. Furthermore we offer discounted ironwork packages ideal for new period doors. These are available in a number of beautiful finishes such as brass and chrome.